I'm a progressive, but I haven't had any problems with your memes. With a huge amount of being a "Constitutionalist"
I'll comment. The laws concerning marijuana use are worse than prohibition during the 20s. Drug wars continue to escalate, and drug dealers don't care who gets hurt. It was put into place, despite the report Nixon received recommending its legalization and taxation. He did it to control the hippies and Blacks. The Mexicans were a bonus not in his sites. By the time of the bicentennial, talk of decriminalizing it was common. About on par with a traffic ticket. Heck, half the time, the cops didn't care. I was frisked with a half ounce of Mexican Creepy Weed in my front pocket and the cops never asked me to turn my pockets out. Ronald Reagan decided to escalate the war on drugs, while at the same time, plans were already afoot to privatize our prison system. By the time Clinton signed the Get Tough On Crime bill into law, the private prisons were well established and pot was an easy bust. Two real life labs need to be looked at to see how legalization works. In Colorado, where it's been legal for several years, the crime rate dropped while the tax revenue increased. The University of Colorado is now free to research any potential beneficial uses in the field of medicine. Portugal has gone one step further: they legalized it all. The number of drug dealers dwindled fast. They couldn't compete with government sanctioned drugs. Instead of incarceration, they stress rehabilitation. The recidivism rate for people that choose rehab is much lower than it is here in the US under our current system. I've done a few articles on this. So far, the pluses far outweigh the minuses. Spot on comment Swiggy...we don't always agree politically but here is something I can say is right On ! Most people don't know the University of Miss. had a marijuana lab and people were issued amounts by the Government grown there for experimental treatment of Glaucoma back in the late 70's early 80's and it was kept quiet by the Government. They didn't keep too quiet. I remember reading an article in the local newspaper in Ohio back in the mid 70s about their first subject. He'd started smoking it in 68, and was eventually arrested. His glaucoma was well documented, and his lawyer was actually able to convince the judge of it. He was issued so many at a time and had to carry proof that it was legal for him to have it on his person. He'd still get hassled, but he was always released. Growing your own is fine, but there are enough people that can't, or won't, become farmers. I'm stuck using Kroger's for my produce because I don't have any place to have a garden. I know, "Toledo Windowbox". But there is commercial value as well. You can make 250 gallons, each, of beer and wine, but most folks go to the liquor store for their booze. A profit incentive for prisons is an incredibly frightening thought. I did my research. Google kids for cash about the Lucerne county juvenile court corruption. Then Google conditions at Erie Correctional facility. There's big bucks to be made with private prisons. The honus set on our court system is to keep them full. The corrupt drug laws ensure plenty of prisoners. I've done at least two articles on this subject, and, while far from being an expert, I am probably more knowledgeable than the average citizen. Why do you think one certain candidate very familiar with the get tough on crime bill ignored all the data available and says it needs "more research". Gotta keep those prisons full of slave labor. Funny, but over 20 years ago, i made a prediction that the dumbingbdown of American students, along with our economic policies would bring back slavery before the end of the 21st century. Of course, one party leader in Altoona, PA, basically said it would never happen. I believe it should be legal for anyone to grow their own for personal use ! I personally am not for it being sold in stores to anyone. Nobody should be in jail for growing a Plant that God put on earth for man to use, if you don't believe in God , then the argument can be made for "Naturally Occurring " plant life. I was on a low dose medical marijuana program in Alaska for a terminal condition that had no drug available for what I needed (Appetite Enhancement) due to heavy metal/lead exposure that ruined my liver and doctors said I would be dead by 1990. I am still alive and the doctors are all dead that told me that. I feel its safer than a lab produced drug that "may cause TB, VD, Heart attack , stroke, or ruin kidneys , liver , and cause rashes or Death" ! I take aspirin for aches and pains and i'm over 60 yrs old ! 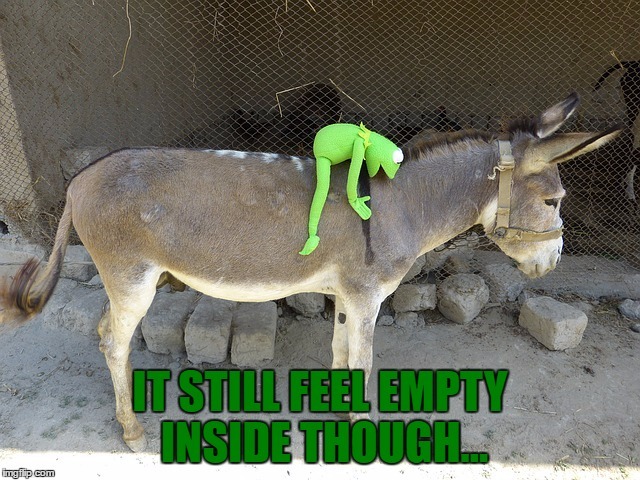 Thanks amigo, I always look forward to logging in to Imgflip to see a good Juicydeath.............meme. so I am now using a much more weaker computer now but I will get a better computer when hit's Christmas. The liberal/conservative or Democratic/Republican bashing rhetoric is what put the two most hated people in America on the ballot for November. If people could have more civilized political discussions we'd have better candidates because the politicians wouldn't have to play so far away from the aisle to get their party's nomination. 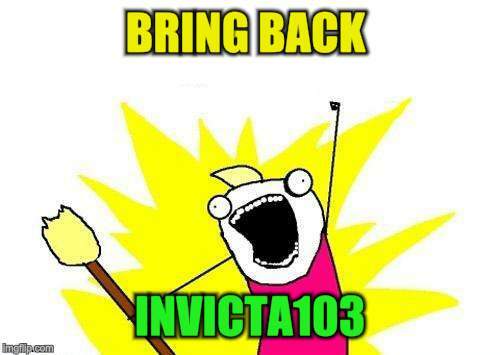 Invicta103 had a really good touch with political memes. He could get a point across in a clever way without sounding too preachy. 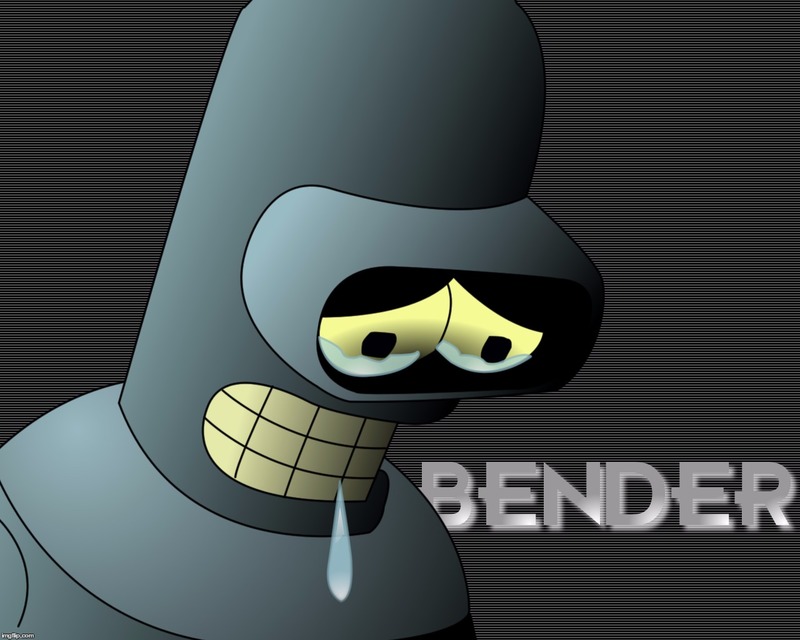 I think I meant more his meme style than the content. He's clever with templates and phrasing, etc. Well if you do take the time to check his memes, I recommend scrolling farther back (lately they've mostly been about the election). 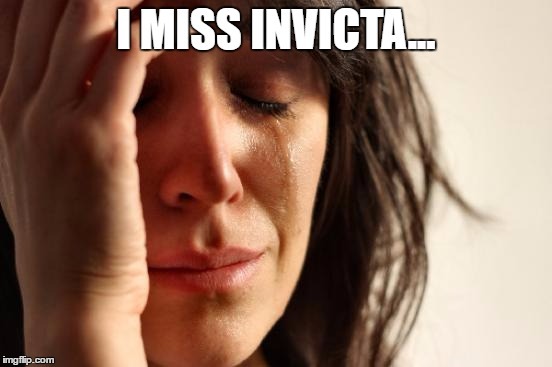 But he has some really good ones. I've noticed that on this website with a lot of users. I tend to lean conservative but I like reading Beckett437's political comments because they usually give me a good view of a more liberal stance without the hate. Just to give support to those willing to face the possible trolls/attacks. It's gotta be something I strongly agree with though. I just want to express my thoughts and feeling in a nice way. 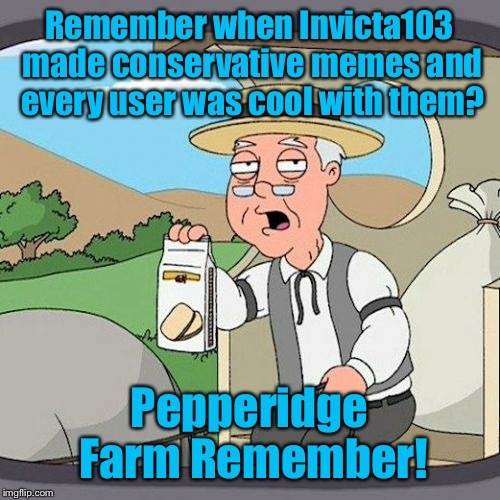 Remember when Invicta103 made conservative memes and every user was cool with them? 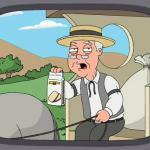 Pepperidge Farm Remember!